Small differences appear, depending on the exact location. Wines from the Northern end of the commune are more often intense and powerful, and those from the southern end are smoother and fuller. White: this wine boasts a silky gold colour, flecked with green. It has a bouquet of almond, dried fruits, bracken, and white flowers. It may be enjoyed either young “on the fruit” or later for its mouth-filling mellowness. Serving temperature: 15 to 16°C. White: their flowery freshness makes them a marvelous match for poultry and veal in creamy sauces, fish tajines, sushi, and grilled sea-fish. When older (and fleshier) they enfold and tame cheeses such as Cîteaux, Comté, and certain goat cheeses. 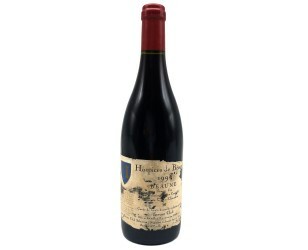 A burgundian icon and capital of Bourgogne’s wine trade, Beaune takes centre place on the world stage during the annual Hospices de Beaune wine auction. The Hôtel-Dieu, built in the Flamboyant style, the huge silent cellars of the négociants houses, and the wine-growing domaines of the district all attract countless visitors. The Beaune vineyards are among the most extensive of the Côte. From here comes the Pinot vermilion of the Dukes of Bourgogne- a red wine, aromatic and full of fire, whose reputation goes back to the late Middle Ages. The whites, less common, make the best use of soils suited to the Chardonnay grape. 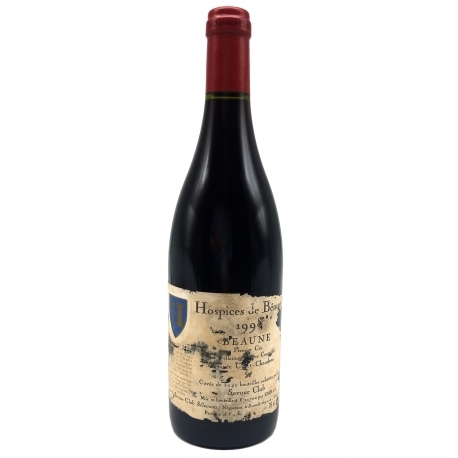 The BEAUNE AOC was established in 1936. In the synclinal of Volnay the Comblanchien limestone disappears into the depths to be replaced by the overlying Rauracian. The slopes are quite steep and the soil (scree-derived black rendzinas) thinnish. On the lower slopes are Argovian marls and deep soils, white, grey or yellow, tinged with red from the iron in the Oxfordian limestone. At the foot of the slope, limestones are mixed with clay. Exposure: east to due south. Altitudes: 220 to 300 metres.